A fellow Pinterest blogger posted this shower and tub cleaner that I had to try. Every time I clean my shower I send my kids out of the room because I feel like the fumes are too strong. I’ve seen so many homemade cleaning pins on Pinterest and I thought this would be a good one to start out with! All I did was heat up 12 ounces of vinegar in the microwave for 2 minutes. Then, I added 12 ounces of Dawn dish soap. I did shake it up and wish I had just slowely stirred it because it made a ton of bubbles. I used an empty Windex bottle for my homemade cleaner. 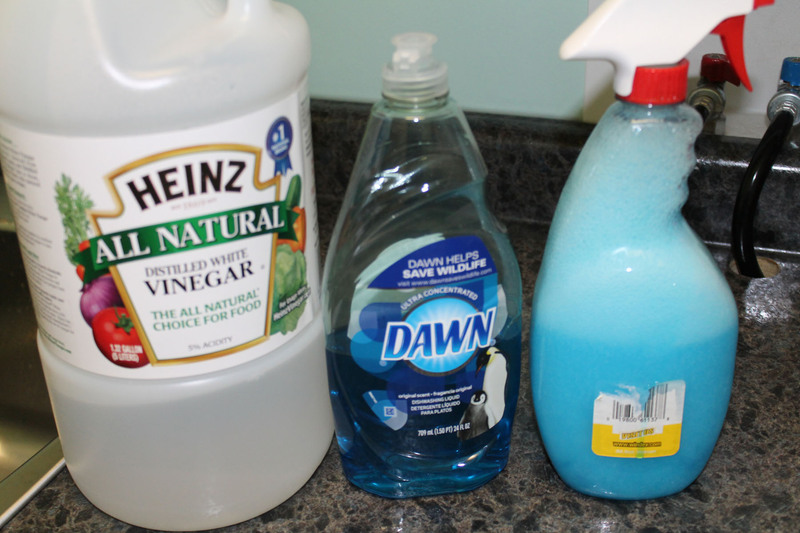 I want to purchase some empty bottles because I plan to make a few more homemade household cleaners. Next on my list is wood floor cleaner! I cleaned my shower and my shower door was so clean. The cleaner does get very bubbly, so I used a squeegee to wipe down the walls of the shower. Best of all, I didn’t have to send the kids out of the room!